What do the fair trade labels mean? With so many labels on products these days it can be hard to tell what’s what. Here we break down the fair trade labels that we use on People Tree clothes and explain in simple terms what they mean. 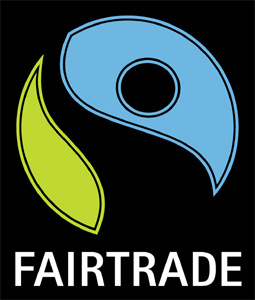 What is the difference between fair trade, Fair Trade or Fairtrade? And, why do we use two different labels? In order to best understand what fair trade is, perhaps it is first better to understand what ‘un’ fair trade is? Unfair trade or ‘free trade’ as it’s often known, in very simplified terms, is essentially where the buyer determines the price that they will pay for a product as opposed to the seller. A case in point, is the current situation in Britain regarding the low price of milk and how it is affecting dairy farmers. It costs more to produce the milk than the price supermarkets will pay the farmers for it. This is happening to products and commodities across the world from garments to agricultural products. Factory owners in Cambodia are told that if they can’t meet low prices on production of jeans, the buyers will move to Bangladesh. Likewise, with bananas in Colombia and cotton in India. This is what’s known as the ‘race to the bottom’, where countries and companies compete against each other for low prices at the expense of human rights; working conditions and the environment. In order to regulate this unfairness, an alternative trade movement started and the concept of fair trade was born. The idea was this, people would be paid a fair price for the goods they produce, a price which would never fall below the cost of sustainable production of that product. The original goal of this organisation was to help farmers to be paid a fair price for their products. It focused on getting the cotton farmer a fair price for his product, but not necessarily on the manufacturing of the cotton thereafter. This ensures Fairtrade principles are adhered to on the production of such items as bananas; chocolate; coffee; cotton; flowers; gold; sugar; tea; nuts and fruit. When our products are labelled with this Fairtrade mark, it means that the farmers who harvested the cotton have been paid according to the Fairtrade standards. It now also means that each producer has been audited by Fairtrade auditors, or a licensee, to ensure best practice during the cotton ginning and spinning as well as the fabrication of the garments. ‘work in partnership with marginalised and disadvantaged groups to try and help them overcome the serious barriers they face in sustaining livelihoods and finding market.’ and to ‘facilitate the development of producers and worker collectives ‘to enable them to move from poverty to economic self-sufficiency’. When People Tree refers to ‘Fair Trade’ (capitalised) we are referring to the WFTO standards of fair trade, and when we refer to ‘Fairtrade’ we are referring to criteria determined by Fairtrade International and FLO-Cert. By using both Fairtrade and Fair Trade marks, as well as organic certifications, we are ensuring utmost transparency and adherence to human rights and fair trade principles throughout our supply chain, from field to ‘shop floor’. We appreciate that this transparency is important to our customers and sets us apart as pioneers of Fair Trade and sustainable fashion! Posted in People Tree•Tagged Clare, customers, fair trade, fairtrade, FAQ•by People Tree•Leave a Comment on What do the fair trade labels mean?